Not unlike James Wan before him, Straight Outta Compton filmmaker F. Gary Gray faced a monumental task upon taking the reins on The Fate of the Furious. 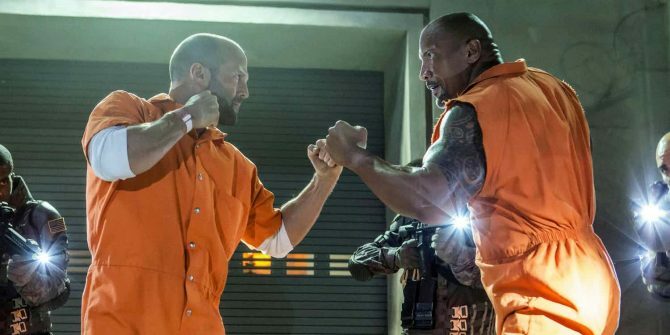 The sequel formerly known as Fast 8 shouldered a particular weight of expectation prior to release because of Paul Walker’s tragic, untimely death – even if Universal considered incorporating a CG Brian O’Connor a la Peter Cushing in Rogue One: A Star Wars Story – and it’s a testimony to Gray and his crew that The Fate of the Furious managed to carve out a new chapter in Universal’s petrolhead franchise, all the while scooping up $1.16 billion at the worldwide box office. Assuming the director finds time on his busy schedule to helm Fast and Furious 9, where would he like to see the franchise go next? Outer space, it seems, after the possibility of a space sequence was floated in the same interview with Screen Rant. In short: anything’s possible when it comes to Universal’s physics-defying blockbuster, particularly after Fate featured a chase sequence involving a nuclear submarine. Outer space? Listen, I wouldn’t rule anything with this franchise. When I read submarine I’m like ‘OK, anything’s possible’. [Laughs] You never know. I haven’t read “Dom on Mars” yet but again, you just never know. The as-yet-untitled Fast and Furious 9 is currently penciled in for release on April 19th, 2019. It’ll be followed by F&F 10 on April 2nd, 2021, while those of you pining to see Dom and the crew in action can look forward to The Fate of the Furious hitting Blu-ray and DVD tomorrow, July 11th.